This blend of Zinfandel (86%) and Petite Sirah (14%) gets its name from owners Rick Cooper and Rodney Alex. The fruit originates from Doug Rafanelli Vineyard and becomes wine with the guidance and expertise of Guy Davis. Harvested by hand, destemmed into an open top fermenter. Barrel aged for one year in two-three year-old French oak. 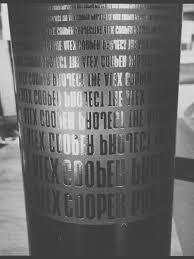 This is the second time we have featured the Alex Cooper Project (last featured December 2016) in our wine club. Why did we bring it back? Because, if it ain’t broke, don’t fix it. This is a Silky smooth Zin that reminds you of blackberry jam. And yet, it does not stop there. The fruit on this wine will blow you away combining with earth notes and leather with an intense yet soft finish. Best served with lollipop lamb chops and friends! This blend of Cinsault, Grenache, and Syrah originates from Provence, France. Each varietal is vinified separately. Fermentation takes place in stainless steel vats and aging occurs over 8 months. Just hold on there partner! Summer doesn’t have to be over yet. Grab a bottle of this exceptional Rose. This is what we refer to as “perfect dryness” when it comes to Rose. It is dry with a touch of sweet. You will get a basket of wild strawberries on your palate with crisp mouthfeel and slight imerality on the finish. Enjoy this wine before it gets too cold and the sun is down before you get home from work. Best served with your friends and a plate full of sushi or light tapas. 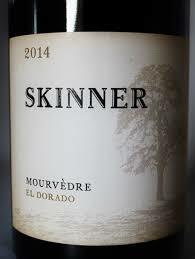 This blend of Syrah (91%), Viognier (6%), and Grenache, Mourvedre and Petite Sirah (3%) origniates from El Dorado, California. More Specifically, Stoney Creek (80%), White Oak Flats (10%), and Fernaughty (10%) vineyards. A unique fact that should be noted is that one of the lots is co-fermented with Viognier adding another level of depth to this wine. 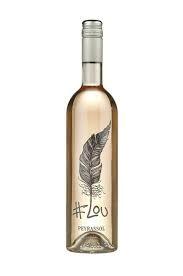 This wine is aged for 22 months in New French oak (50%) and Neutral French oak (50%). Production is limited to 227 cases. Syrah is an amazing varietal. It can be as explosive and intense as you can imagine with dark fruit that dominates your palate. Or it can be elegant with subtle complex notes that challenge your palate with a wide range of flavors. This wine is the latter. You will get dusty road followed by lead pencil, green peppers, and a mix of apricot and white flowers. With all of that going on, this wine is a must try. Best served as a conversation piece with your best friends. Oh, and with anything barbecued. This Sauvignon Blanc (100%) originates from Willamette Valley, Oregon. 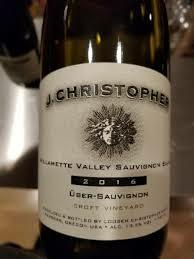 Unique varietal to this Oregon, which is normally known for their Pinot Noir. Fermentation takes place in stainless steel (80%) and 500 liter acacia barrels (20%). Aging occured over a period of four months in casks. Production is limited to 650 cases. You brought a Sauvignon Blanc from where? Oregon? That’s awesome, and you need to try this one. Another great wine for the last big of warm weather we have left. You will get the grassiness of your favorite New Zealand Sauvignon Blanc. Crisp and dry. Mow your lawn and then relax for the rest of the afternoon and admire your labor with a glass of J. Chris. Best served with light fare or no food at all. This Merlot (94%) and (Cabernet (6%) originates from Oakville, California. It’s owners, Ren and Marilyn Harris, have a long history in Napa Valley. Marilyn’s family immigrated from Italy and came to Napa Valley in 1890. Ren’s family migrated to California in 1769. It was in 1976, that the land was purchased that would become Paradigm Winery. Wine production began with the 1991 vintage. Production limited to 803 cases. The Paradigm Merlot returns to our wine club (last appearing in February 2017). Why is this Merlot back? It’s simple. 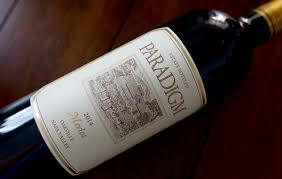 Paradigm is the gold standard in winemaking. This is super high end wine that represents the bold fruit of the Oakville appellation of California. This is a must try Merlot that will be good for the next 20 years. Tons of fruit and smooth. Tannins are moderate making this wine approachable to all. Best served with blue cheese burgers and friends. 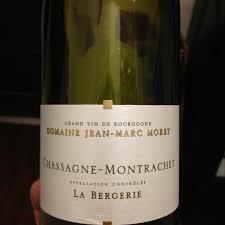 This Chardonnay (100%) originates from the Chassagne-Montrachet appellation of Burgundy, France. More specifically, the northern sector of Chassagne which borders Puligny. Vines are old with plantings of 1960, 1963, and 1975. Winemaker Jean-Marc Morey ustilizes traditional winemaking techniques using only wild yeast and sending the juice straight into the barrel for fermentation following pressing. This is not your grandma’s Chardonnay. It’s got all of the citrus stone fruit you are looking for and no butter. You will get lemon zest on this wine with a silky finish. Invite grandma over anyways, she’ll still like this one because it’s delicious. It’s amazing how versatile Chardonnay can be. Give this one a try. Best served with friends and family at your next holiday gathering. 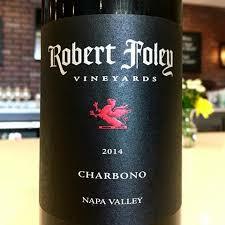 This 100% Charbono is produced in Napa Valley by Robert Foley. He has produced wines since 1977 for many vineyards throughout Napa Valley while bottling wine under his own name since 1998. This extremely rare varietal is currently only planted in 90 total acres in the world. Its original name was Doux Noir, or “soft black,” later called Charbonneau (carbon water) and was imported from the French Alps in 1880. Drinkers will pick up wild berry jam and black fruit pie. This wine effortlessly balances tartness and fine tannins. Ten day fermentation, aged in French Oak. This is the wine you bring over to impress your friends. It’s got a great story and happens to be delicious. It is known as “the lost varietal” due to its extremely small production and appreciated in a cult like fashion by wine snobs. I hope you like black cherry candy! You can drink it now or in 15 years. Best served with hearty meat preparations such as grilled beef tagliata and arugula salad. Oh, and with friends!